PFN status gives a product protection against imitation throughout the EU. PFN status products are big business for the European economy. The estimated value of protected products is €15.8 billion. Alongside Melton Mowbray Pies and Stilton Cheese, newcomers Halen Mon, West Country Beef and West Country Lamb now reside next to the UK’s most loved foods that have gained protected food name (PFN) status. There are now over 60 products from the UK that have achieved accreditation by the EU. On the recent additions, farming minister, George Eustice, commented: "Exceeding the 60th registration is an achievement to be proud of. Legal protection of the quality, provenance and reputation of British food will help small businesses make a valuable economic contribution both locally and nationally. 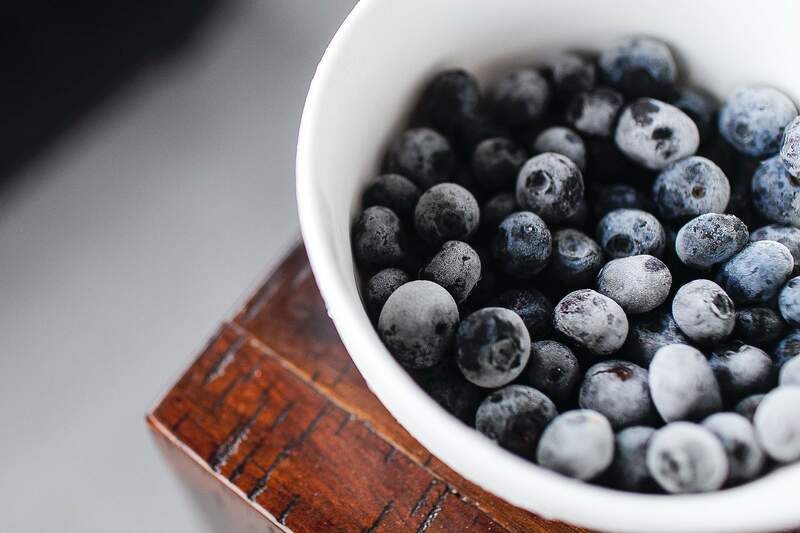 "We now want to help many more UK food producers who are thinking about making an application for protected name status to get their quality produce fully recognised." It is estimated that the UK’s protected food name products contribute more than £900 million to the European economy. The Department for Environment, Food and Rural Affairs (Defra) is working with the food industry to encourage more applications from UK food producers for PFN status but what does the process involve, what are the benefits to companies and how does it boost the local economy? Protected food status: what’s in a name? The EU PFN scheme was established in 1993 to provide an EU wide system of protection for food names based on geographical or traditional recipe basis and whose authenticity can be guaranteed. The produce can be awarded one of three marks: Protected Designation of Origin (PDO); Protected Geographical Indication (PGI); and Traditional Speciality Guaranteed (TSG). Before this, protection against imitation could only be secured for products within individual states. Clare Gibbard, press officer for Defra, discusses the various ways UK food producers can apply for PFN status: "In order to apply for protected status, a producer or producer group must prepare a product specification. "This contains information about the method of production, the product’s traceability and historical evidence linking the product to the geographical area or substantiating the specific character of the product." 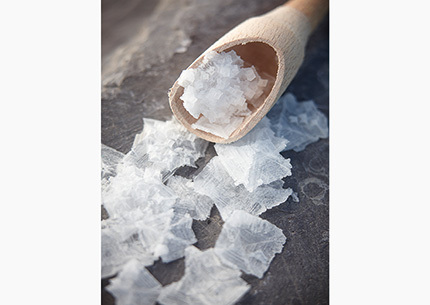 The recently accredited Halen Mon, producers of natural sea salt from Anglesey, applied to the scheme after being encouraged by the Welsh government who paid ADAS, the environment and agriculture consultancy, to help the company through the application process. Halen Mon’s sales director, Alison Lea-Wilson, explains: "You have to do a lot of iterations of the application because it has to be written in a particular way and it has to be incredibly detailed as well. ADAS gave us a lot of support with that. It took us nearly three years to get it." While it may be a rigorous process, PFN status gives a product protection against imitation throughout the EU, which can be a major issue for producers who want to hold onto the integrity of their product. Halen Mon, like other companies, have experienced their fair share of run-ins with imitation products. Lea-Wilson explains: "Before we had PDO if we had wanted to take action we would have had to done so through the courts of whichever country it was and in fact in both the cases that we know about, and there may well be others, our distributors just have a quiet word with the offenders." Reflecting on the difference before and after gaining PFN status Lea-Wilson comes to the conclusion that it is much easier to protect a brand name: "Now the host government, so the Italian government or Spanish Government in those particular cases, is under an obligation to take action in the same way the British government would take action against someone passing off inferior ham as Parma ham in this country." Despite the long wait for accreditation, Halen Mon were "thrilled" when they found out about the status and were happy that the new status was allowing the company to leave a "lasting legacy". "Personally we think it’s fantastic because the names, the English and the Welsh names, will now always be there," exclaims Lea-Wilson. "They’ll outlive us which is great." Lea-Wilson points out that along with a legacy and protection under the law, the new PFN status gave the company a "certain amount of gravitas" that allowed them to promote its products fully outside of the EU, resulting in new growth for the business. "We are a very small family run business but we now have positive proof that our brand is different, our products are different to any other products," states Lea-Wilson. "We are beginning to work with people who want to work with protected food names so we’re looking at joint products with other protected food names." The gravitas behind the status highlights the importance of the quality of local products. It feeds neatly into consumers’ increasing awareness of the importance of speciality foods and allows producers to use this to their advantage. 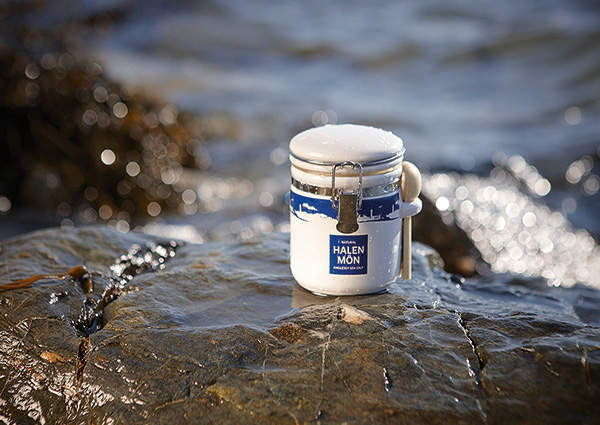 Like many producers, Halen Mon sell its products at local farmers markets to engage with the community and attract consumers who want fresh, good quality produce. PFN status products are big business for the European economy. The estimated value of protected products is €15.8 billion; the UK contribution is €1.1 billion – the 4th highest value in the EU. The local economy can benefit greatly from protected products as Gibbard explains: "A protected product can boost the local economy in terms of sales generated, local food tourism and through the use of local produce as ingredients for protected products." Halen Mon is looking forward to giving more back to its local Anglesey economy as plans are in the works to grow the company workforce by 25% this year. 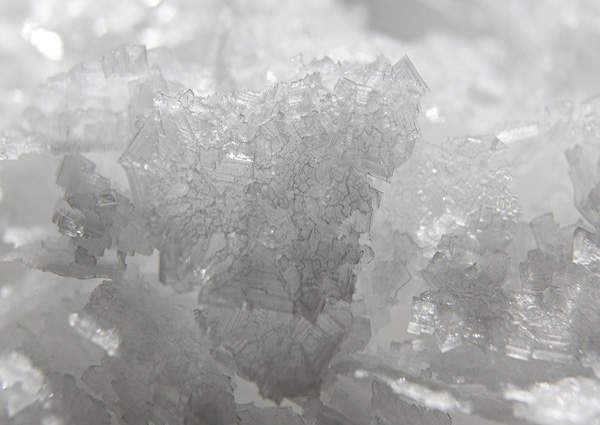 "We’re building a new salt cote, which is the old fashioned way of describing a building to hold salt," says Lea-Wilson. "We’ve pledged a number of outputs among which are the creation of jobs and the purchasing from Anglesey, Wales, and certainly the UK as much as we possibly can so we will definitely be adding considerably to the local economy." "I’m also working with the local council on food, tourism and strategy. Hopefully that will help other small producers in this area raise the game and attract more people in to eat what they produce."